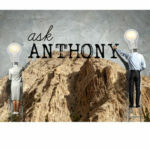 Ask Anthony: Is It Better to Have a Specific Expertise or Be a Jack-of-All-Trades? Many different disciplines make up the world of civil engineering – transportation, geotechnical, site civil, and water resources only begin to scratch the surface. So, for your long-term career growth, is it better to focus on a discipline and become an expert in it or to become knowledgeable in many civil engineering disciplines? Once again there isn’t a black-and-white answer to this question. 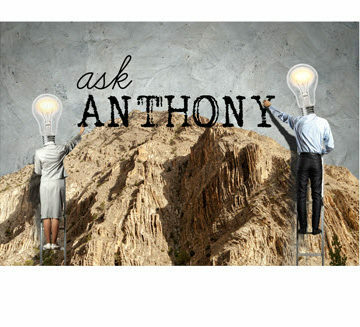 The answer can vary based on your individual goals or current situation. But let’s look at a few scenarios. If you are a recent graduate, you most likely don’t even know of all of the different disciplines in civil engineering. My advice is to get as much exposure to as many different disciplines as you can. Learn a little about each, and start to get a feel for which one you like most. The company you work for will have a huge influence on your ability to be exposed to different disciplines, so consider that when you select a company. My first employer afforded me the opportunity to try geotechnical engineering, site engineering, and structural engineering, all in my first year out of school. Once you progress to the project manager level, the advantages of specializing in a discipline become clearer. It is difficult to have a good working knowledge of many different disciplines and to keep up with new guidelines and codes. Therefore, focusing on one area can be very helpful to your career, your company, and your clients. I eventually specialized in septic system design and became one of the go-to engineers on that topic in my geographic area. If you work for a small civil engineering firm, it might make sense to be a jack-of-all-trades, even as you progress in your career. The nature of a small firm will require you to do many things. In this scenario, I still recommend having one real area of expertise but also to be open to learning many different things. That being said, you should develop a stable of local consultants in the areas outside if your expertise that you can go to as needed. In a larger civil engineering company, it’s easier to specialize in one very specific area. You will have access to experts in most other disciplines right within your firm. You will also have a source of work and requests in your expertise field from other staff in your company. I worked for a mid-sized firm most of my career, which allowed me to specialize without relinquishing access to expertise in all other fields. Although becoming a jack-of-all-trades can be very attractive for civil engineers, there is a lot of value to becoming an expert in one field, once you decide which one’s best for you. This a distressingly common misuse of the term – it should be “home in on” when narrowing choices. To hone something is to sharpen it. Once you have homed in on your skill of choice, then you can hone it! 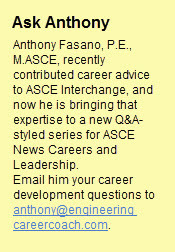 ASCE seeks to elevate the status of engineering through education – let’s not backslide into the jargon of youth! The best advice I ever received on this topic is to not be a specialist, but to have a specialty. Getting too focused limits the ability to respond to market shifts, while being overly broad with no particular depth in any area, provides not basis for differentiation and lead to commoditization.